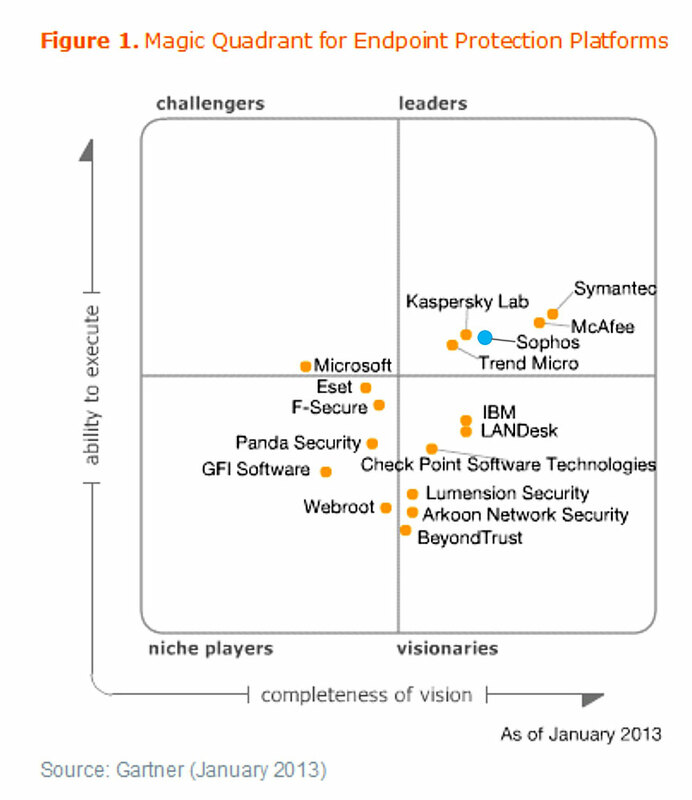 "You might want to check the Magic Quadrant for Endpoint Protection from Gartner Group and try to find yourself what is the best answer for your company. " I think not. The Magic Quadrants tend to be biased towards the size and fandom within certain circles.. and speak little or nothing to the technical merits or cost effectiveness of those vendors' products. I would be interested in more data-driven comparisons. There are a lot of security products out there, end point protection products, etc with very high price tags. Doubtful that many of them are worth it. Particularly with the spikes in 0-day fresh malware that scanners cannot reasonably pick up.